The real estate market always has its ups and downs, but one surefire way for any agent or agency to gain a competitive advantage is to adopt the latest technology for buying and selling, may it be better mobile apps, e-sign document software, and, yes, drones. 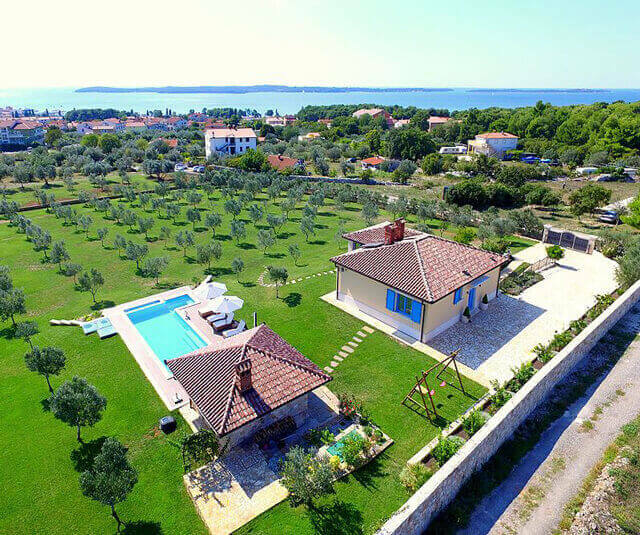 The opportunity to provide high quality, dramatic real estate drone video of the home can make the property more alluring to fetch a better price while also making the process more fair for both parties involved. Read on to learn more about how using drones for real estate is changing the game. Prior to the widespread availability of drone technology, agencies were limited in their ability to provide prospective buyers with a full-scale photograph or video of the home they were selling. While agencies responsible for selling a higher priced home may have the spare funds to spend on expensive aerial photography, many agencies were limited to low-quality Google Earth satellite images. Now, using UAVs for real estate is commonplace as the technology has become affordable and easy-to-use for any agent. Savvy buyers will want to know the condition of the roof and chimney; with real estate drone video, you can give them a closer look to ensure you’re negotiating a fair price. It’s not only the exterior of the home. Agents can fly drones inside the house, too, to showcase cathedral ceilings or move from inside a master bedroom onto the adjacent balcony for an enticing look at what it might feel like to live there. The home is not the only selling point when it comes to real estate. Land is often one of the most desirable elements of a sale. For properties that boast larger plots, whether it be three-acre yards or vast stretches of farmland, using drones for real estate can help agents provide buyers with a better survey of the land in which they are investing. UAVs equipped with cameras make it easy to hover over areas of the property that are particularly strong selling-points. The ease of use and low cost means you can give serious buyers a live, in-person demonstration so they can explore for themselves. UAVs in real estate are not limited to the agents; home inspectors are getting on board with drone technology to give buyers and sellers alike a better sense of exactly what’s at stake. An inspector can fly a camera-equipped UAV over a home to take real estate drone video of damage to a roof, window, or chimney without putting his or her safety at risk. Inspectors can also use drones to view harder to reach areas of the home, such as crawl spaces, perform flood analyses, and create 3D models of the property. HSE is proud to support the real estate community with our selection of high quality, affordable drones. We also offer free demonstrations, flight training (ask about discounts for your agency), and FAA consultation to ensure you or your agents are properly certified. Contact us today to learn more about the amazing opportunities provided by real estate drone technology.